 The first section of this resource page contains links to resources that I’ve either created or collected and should prove to be very useful as you begin down the content marketing path. The second section contains links to other content marketing resources such as books, online content marketing guides and recommended sites bursting with tips, tricks, how-tos and advice. You can find my recorded webinar on search engine optimization at http://bit.ly/1cHUrdO. This is a “must-know” topic for any content marketer. I’ve collected tons of useful content marketing information, mostly in the form of infographics, on my categorized Pinterest boards. Check them out at: http://bit.ly/1mdaMxb. Come learn more about content marketing on my blog at: http://bit.ly/1qK8lEy. You’ll find a nice collection of useful links in this curated guide to my content marketing articles. Visit http://bit.ly/QpMDs1 to take a look. 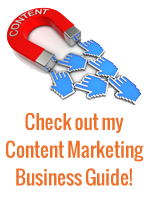 The online gateway to my content marketing courses and ebooks is my “Learn with Me” page at http://bit.ly/1n6FafB. Each course and ebook will help you learn why, how, when and where to create and use one specific type of content. Both courses and ebooks are easy to understand, provide actionable steps and advice and include plenty of examples. Each one builds on the foundation of knowledge found within this book, and enables you to plan, create and implement increasingly effective content marketing campaigns. 60 Experts Reveal Their Favourite Content Marketing Books – an excellent list of books to explore.